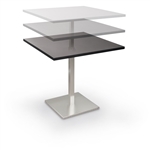 Take your bistro decor to the next level with designer tables from Office Furniture Deals. 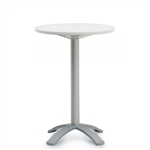 Our selection of best selling bistro tables for sale online includes top rated models from industry leading furniture manufacturers like OFM, Mayline, and Global Total Office. All of our new bistro tables include free shipping for added value. Purchasing multiple tables for your restaurant, cafe, or break room? Don't forget to inquire about bulk discount pricing. 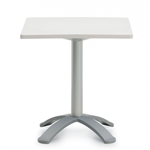 Need help selecting modern bistro tables for your establishment? Contact our furniture specialists today at 800-456-6746. Rest assured, our selection, service, and pricing can't be beat. With high quality bistro tables available for sale at up to 60% off, meeting your decor needs and space requirements is easier than ever. Your Price: $942.99 *Quantity Discounts Available! Your Price: $1,789.99 *Quantity Discounts Available! Your Price: $2,635.99 *Quantity Discounts Available! Your Price: $3,481.99 *Quantity Discounts Available! Your Price: $299.99 + Free Shipping! Your Price: $331.99 + Free Shipping! Your Price: $325.99 + Free Shipping! Your Price: $323.99 + Free Shipping! Your Price: $913.99 + Free Shipping! Your Price: $250.99 + Free Shipping! Your Price: $297.99 *Quantity Discounts Available! Your Price: $329.99 *Quantity Discounts Available! Your Price: $235.99 *Quantity Discounts Available! Your Price: $308.99 *Quantity Discounts Available! Your Price: $309.99 *Quantity Discounts Available! Your Price: $339.99 *Quantity Discounts Available! Your Price: $278.99 + Free Shipping! Your Price: $618.99 + Free Shipping! Your Price: $256.99 + Free Shipping! Your Price: $255.99 + Free Shipping! Your Price: $370.99 + Free Shipping! Your Price: $283.99 + Free Shipping!